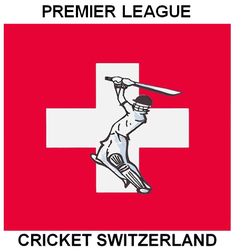 Winterthur CC lost their 2nd CSPL match against Olten CC on Sunday 31st of May 2015. The visiting team captain Shiraz won the toss and elected to bat. After the excellent bowling and star fielding performances, Winterthur opened the batting attack with Callum and Ram. Olten fully charged up bringing in Shane the fastest West Indian bowler in Switzerland made Callums and Rams knees tremble, fighting through the pace attack, both Ram and Callum played sensibly and got few runs onboard, but we lost our first wicket Callum 3(17) on the 3rd over. Jagath 7(18) who performed so well against Berne league, walked in with confidence but sadly lost his wicket in the 9th over and Ram 12(28) in the 14th over. Things started to look a bit shaky for WCC, Sara and Rod tried to build some partnership but soon Rod's wicket fell in the 18th over scoring only 4(13). Sara continue to keep the scoreboard ticking but lost his wicket to a mistimed shot and gave away his wicket on the 22nd over, scoring 24(36). Muhamed gave excellent support to Sara and continued his form and score 16(42) in the 22nd over. It was down the hill from here Dipi 15(17) and Rahul9(10) trying to score some quick runs did not help and WCC got all out for 114 runs in 34.3. We always learn from our mistakes and every match we play brings us closer to a victory ! Team spirit has been great ! bowling attack has always worked well ! fielding inspite of 3 dropped catches has been excellent. Top order batting needs some repair. There is nothing else apart from scoring some runs early that can save WCC. Team is aware of this and we are looking forward to our upcoming pickwick cup T20 games, few internal matches and zuoz tournament will help the core team to settle in a bit and work on batting. We are thankful to all the WCC members for their support and best wishes.